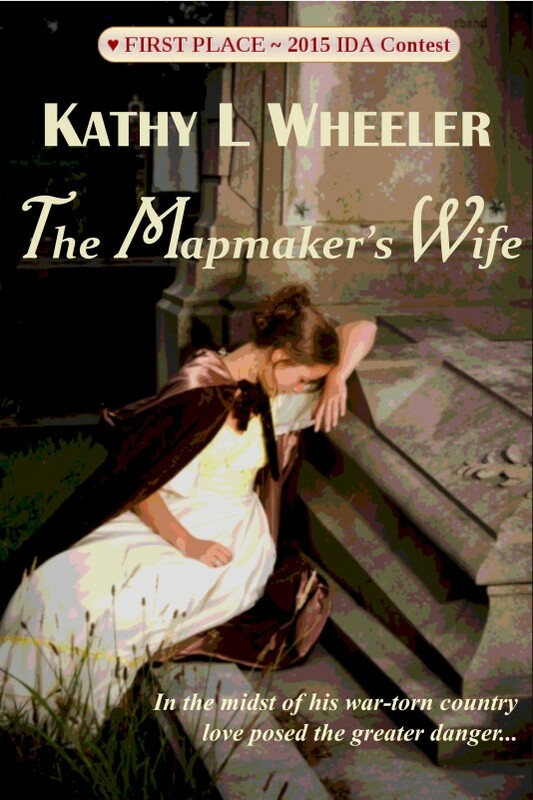 Kathy L Wheeler The Mapmaker's Wife <strong>!!! First Place ~ 2015 IDA Winner - Short Historical !! !</strong> <strong>In the midst of his war-torn country, love posed the greater danger...</strong><em> Creating maps for the Union is less than satisfying after a war-ending injury and learning his childhood friend was in love with his wife. But now both are dead and John Williams is left with an angry child no one can control. A flippant proposal and an attack on her person finds Elizabeth Ruthers married to a mapmaker whose only need of her is taking control of his ungovernable child. Feelings quickly shift into something less platonic. And when the enemy gains vital secrets, her suspicions land her behind bars. !!! First Place ~ 2015 IDA Winner - Short Historical !!! In the midst of his war-torn country, love posed the greater danger... Creating maps for the Union is less than satisfying after a war-ending injury and learning his childhood friend was in love with his wife. But now both are dead and John Williams is left with an angry child no one can control. A flippant proposal and an attack on her person finds Elizabeth Ruthers married to a mapmaker whose only need of her is taking control of his ungovernable child. Feelings quickly shift into something less platonic. And when the enemy gains vital secrets, her suspicions land her behind bars.